DIY BGA (Ball Grid Array) Rework Machine « Adafruit Industries – Makers, hackers, artists, designers and engineers! A really neat rig by Adafruit forum user Julian Lorah, he describes the BGA Rework Station he has built. 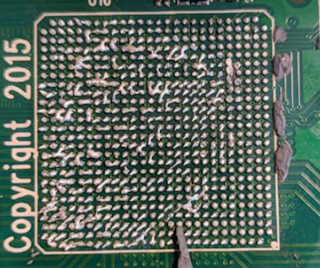 If anyone that has done soldering and unsoldering (rework) knows, ball grid array (BGA) parts are very hard to work with. Julian has repurposed an older project for a platform along with a thermocouple and a hot air device to develop just the right methods to safely and effectively remove a very large BGA device that was not working on a circuit board. You can read the whole process he uses on his blog. Great work! Do you have some soldering skillz? Let us know in the comments!